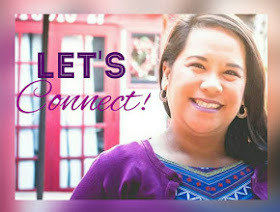 This year, I'm starting a #WorkoutWednesday theme in my blogposts and social media shares where I'll be sharing my journey of becoming more active and more consistent with my exercise this year. I welcome you to use the hashtag also and let's support each other! Today, let's talk about yoga. I have always found yoga to be relaxing. I like the quiet sounds, relaxing music, and dim lighting. I like the slowness of the movements and the focus on breathing. I love most the last few minutes of meditation and reflection with shavasana. Because of our hectic family schedule (here I go again making excuses for lack of time for exercise), I've found a few awesome videos on YouTube that are excellent for at-home yoga practice. I'll be sharing a few of my favorites over the next few months. For 2016, I'm hoping to do yoga at least once a week. The last few times I've done yoga at home, my sons have joined me which has been a nice treat to exercise all together! Come With Me and Let's Meet the Marvel Super Heroes! Have you ever been to a wax museum? 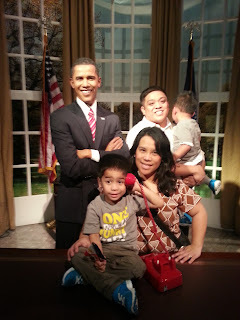 My family and I have been to Madame Tussauds wax museum in Las Vegas and it was so much fun! At first it was a bit creepy because the wax figures look very real. But getting up close and personal with the "celebrities" was as good as the real thing! My family and I are super excited to check out Madame Tussauds Hollywood. They have announced the grand opening of their brand new, multi-million dollar Marvel Super Heroes 4D theater expansion as they bring their most legendary super heroes to life. The new technologically advanced renovation will include innovative 4D experiences with multisensory entertainment including water, smoke and trembles in your seat- allowing visitors to come face to face with the action. Disclaimer: I have received promotional items in exchange for this blog post. All opinions are mine. The struggle is real. Comfy bras for the mommy-on-the-go like me is hard to come by! Comfort, support, style, and quality material are all things I consider when looking for my daily wear bras. I've been wearing my new Coobie Seamless Bra and I' have found my new favorite bra! The bra is super comfy and provides the support I need, even during my workouts! It's light, breathable material makes it feel like you are not even wearing a bra. I'm totally loving the fact that there are NO wires digging into my body! This bra is a new fave in my closet! The Coobie Seamless Bras are seamless, one-size (comfortably fits 32A through 36D), available in 10+ styles and 50+ fashion colors and patterns. I've been wearing the full size bra that fits 38-42D. It fits me just right without the usual problems I have with sagging straps and not enough support. 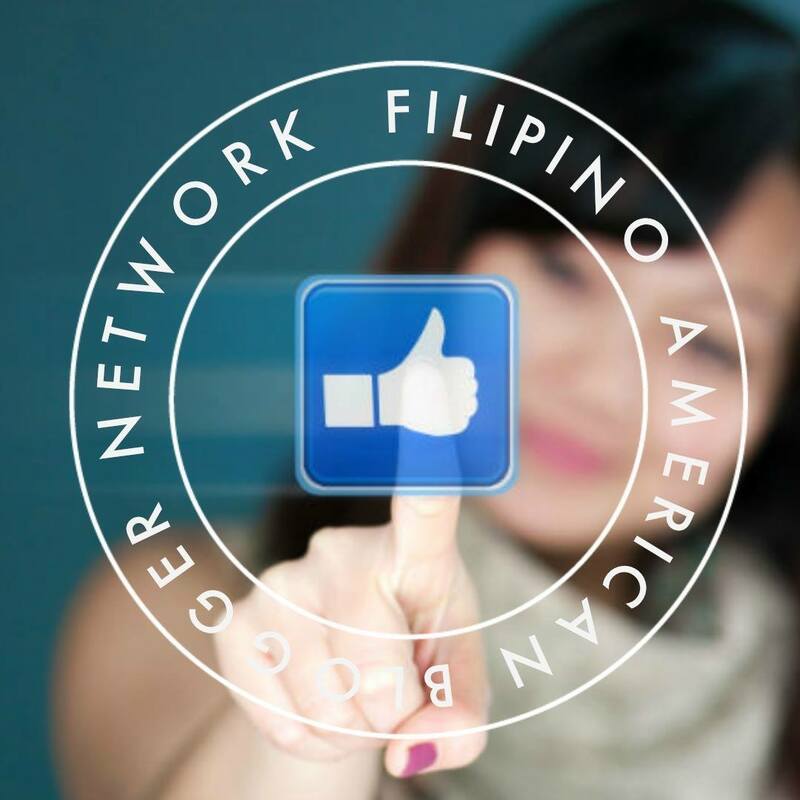 I've found a new favorite eatery in my Mira Mesa neighborhood! Mama Testa Taqueria it is! The salsa bar caught my eye immediately. There are over a dozen different salsas to please any palate. I gravitated to those salsas to the left on the picture below. Yes, "4 chiles" hot! All the salsas were delish! My kids enjoyed the "Mini Blandito": One soft taco with grilled steak or grilled chicken, topped with onion and cilantro. Served with rice and beans. Simple but very tasty, so much so my son asked for a 2nd serving! I guess he's betting too big for the kids meals now. Sometimes I feel like my 7 year old has the appetite of a teenager! Hubby has the "Mamá Blanditos" which were soft tacos with bistec a.k.a. steak with three corn tortillas stuffed with savory grilled steak, topped with cilantro, onion and red tomatillo salsa. Hubby liked his tacos pushed wishes his tacos were a bit more hearty. He too has a pretty big appetite! Pop Pie Co. San Diego is coming to town and I got a sneak peek into their sweet pies that fit in the palm of your hand! These mini pies are super delish and are the right size to satisfy your sweet tooth without the guilt of eating an entire slice of pie! I have to admit, these pies were so good, I ate a few at one sitting. Don't judge me! Pumpkin Pie with a creamy yummy whipped cheesecake topping, house-made cinnamon spice and a pinch of coarse sea salt. Thai Tea Pie with a white chocolate layered crust base and topped with toasted almond slivers. The crunch of the almonds with the sweet surprise of the white chocolate crust base is a great addition to the familiar flavors of Thai tea in this pie! If you read this blog often or you follow me on social media, you know I love to eat. I love trying new restaurants and the enjoyment of sharing that experience with friends and family. I wish though that my blog posts and social media shares on exercise and wellness were just as many as those on food and restaurant reviews. 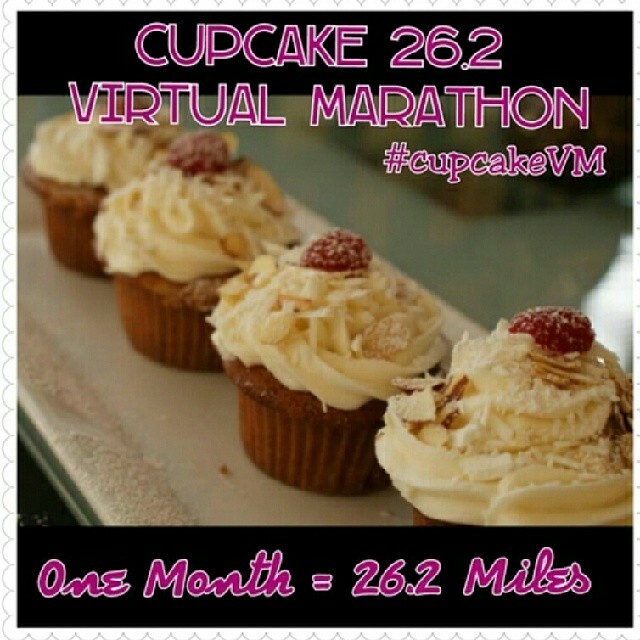 In 2012, I started the Cupcake 26.2 Virtual Marathon. I got the idea from http://marathon.joggermom.com/! The idea is to run, walk, bike, and/or swim starting the first of each month to get you to your 26.2 miles by the end of the month. When you complete your marathon, treat yourself to a cupcake treat as your "medal"! How fun, right?! So, why cupcakes? I have a love of cupcakes, plain and simple. And I know many of you do too!